Smoke screens were used in land battles, as well as naval battles. Lieut. Col. B. C. Goss, Chemical Warfare Service, setting off smoke pots in the Argonne Forest, Oct. 8. 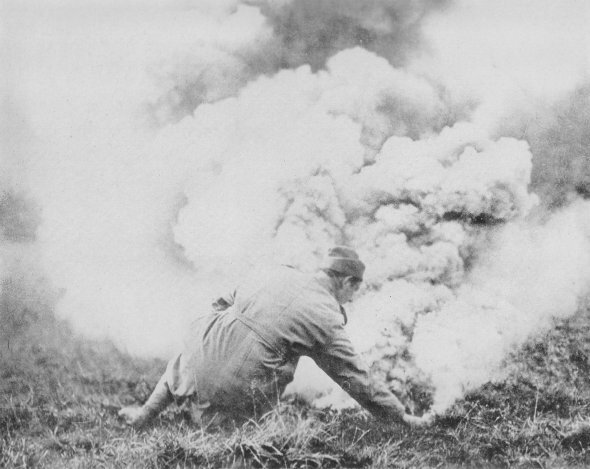 Chemical warfare was in its infancy during the World War. More deadly gases are being developed every year.